One week back formatted my SD Card two times and tried to installed Linux on it. Was thinking of something and regretted that moment as the card had some beautiful moments captured on my Canon EOS 550D which normally as soon as possible gets transferred to my Picasa account to avoid such situations. Tried to Google a lot and found one which was really good one called Stellar Phoenix Photo Recovery but asked me for USD39 which is not much thinking of the value of the moments that I have captured. 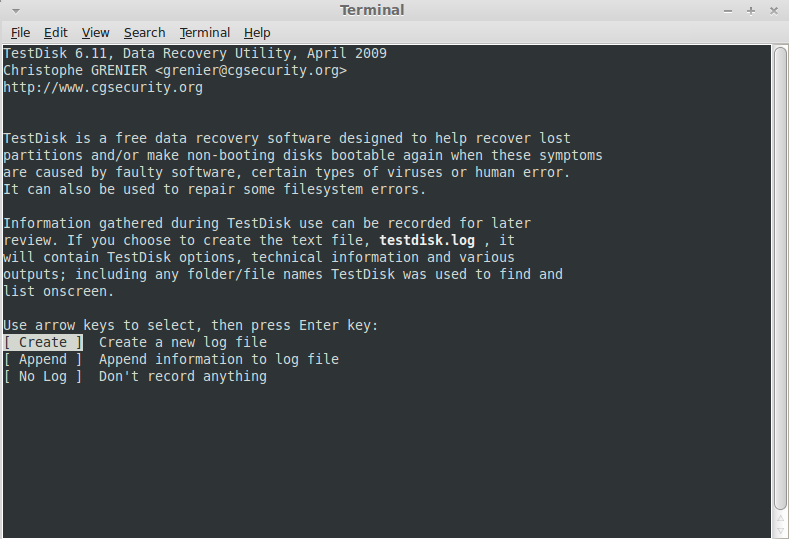 I then again Googled and found Testdisk. Installed it. 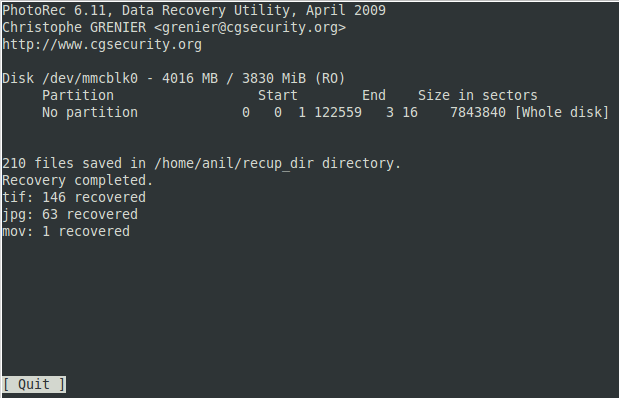 It had another tool called Photorec which got installed along-with. 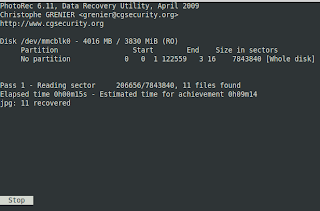 Used Photorec and it recovered almost all of the shots leaving a few within minutes from my 4GB SD Card. 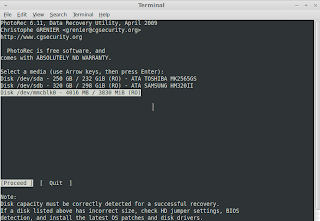 The installation and recovery steps are as below. 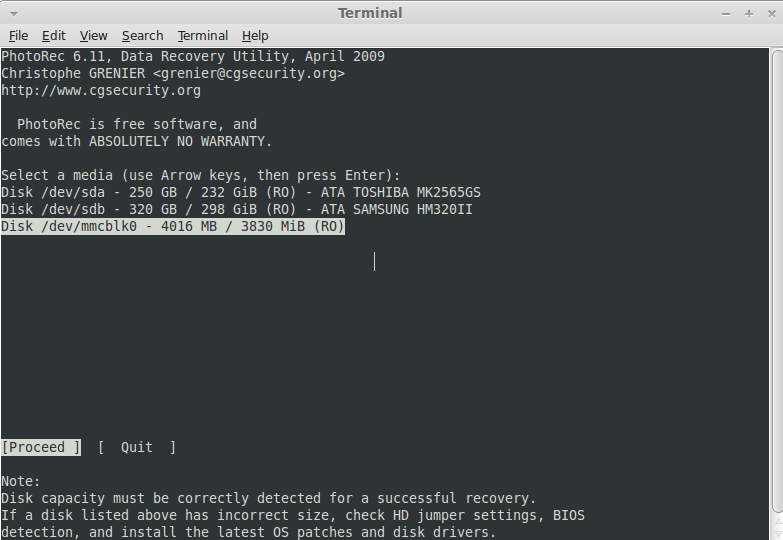 * note I am using Linux Mint 10 gnome edition. The application is available for Windows and Mac also. 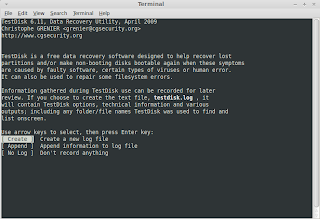 Once installed, as the software is console based type "sudo testdisk" without the quotes will give you an interface as below. This software is used for recovering deleted, lost or formatted media for file recovery. 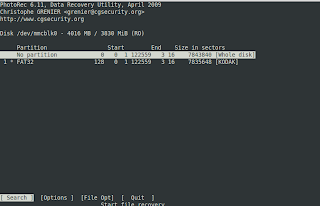 You need Photorec included with Testdisk to recover your images. Select the memory card as below and press enter. You will get a screen as below. 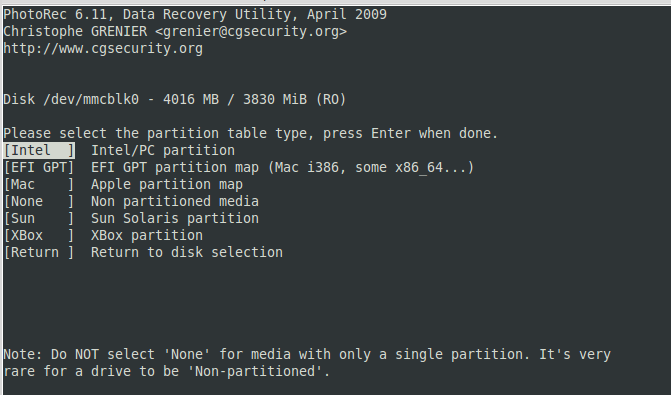 Mostly the memory cards are formatted as FAT so select "Intel/PC Partition" and press enter. Select the whole disk and press enter. 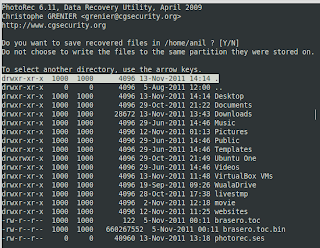 Select the location where you want to store the recovered file by scrolling up and down. The tool will start the process as above. 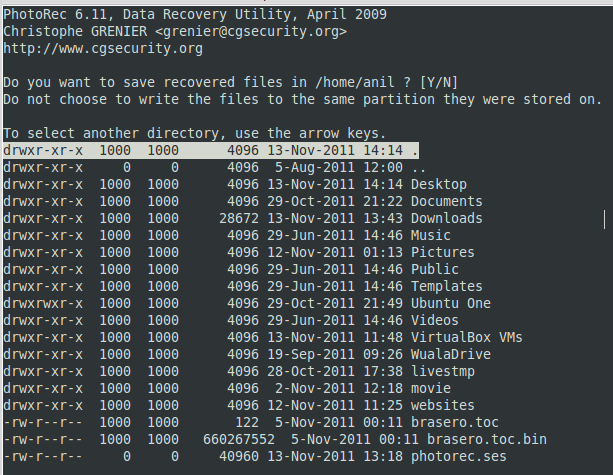 The recovered files will be under the folder in the screenshot above. 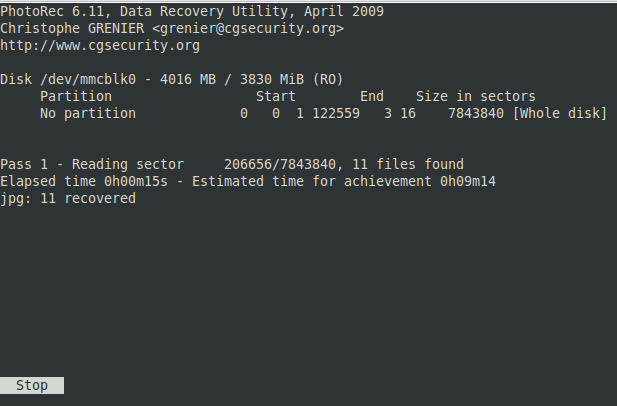 Hope you will have almost all of your images recovered and happy by now. If possible please donate the guys by clicking here if your find this software useful for them to keep up their good work to compete with its commercial counter part.